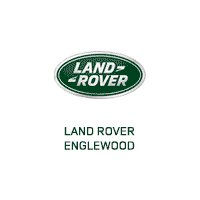 The most versatile Land Rover yet. 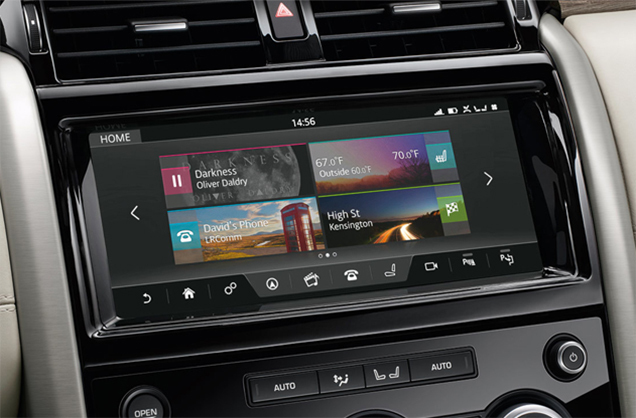 The very latest Land Rover vehicle and infotainment technologies have been incorporated to deliver high levels of capability, connectivity and information. 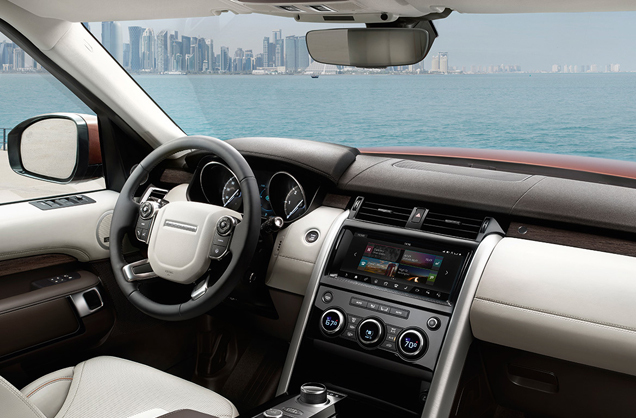 From the choice of Meridian™ audio systems to innovations such as Land Rover InControl® Touch Pro™, and a suite of ingenious driving, parking and towing aids, there’s a world at your fingertips. The Land Rover Discovery feels at home in the city, and also drives impeccably off-road. It takes towing capability to a new level, with a capacity of up to 8201 lbs and a suite of features available to help make towing effortless and assured. Optimized suspension geometry coupled with unique Land Rover technologies ensures it delivers the ultimate all-terrain capability. 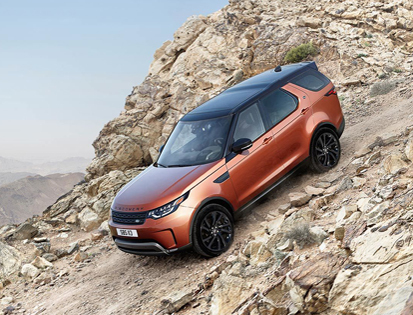 The distinctive roof and feature lines rising towards the rear of the vehicle give the Land Rover Discovery an assertive, recognizable stance that is enhanced by the front and rear design. 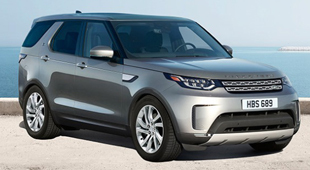 Sophisticated and modern, the Land Rover Discovery epitomizes the compelling British design. The powerful, distinctive front end – with short front overhands, sleek windshield angle, rising beltline – and tapered rear result in a streamlined and dynamic character that communicates efficiency and modernity. You’ll find thoughtful storage solutions in places you simply wouldn’t expect, from the upper and lower glove box, to the central armrest stowage with an optional cooler compartment. Premium leather surfaces are finished off with beautifully tailored twin-needle stitching and offset by authentic metal and wood details. These include striking Gloss Black or Brushed Almond center console rails, and Noble Metallic Plated finishes to door releases and transmission selector. 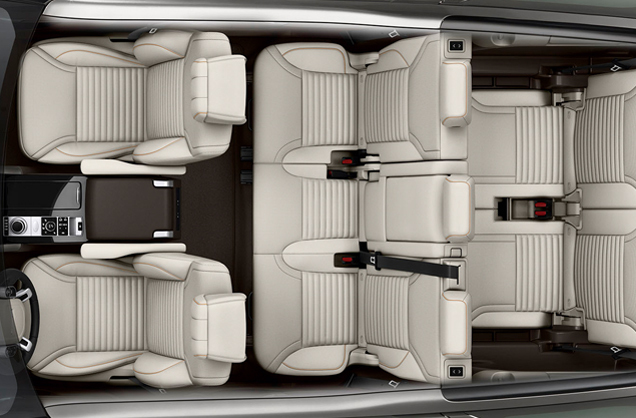 Seven full-size seats truly exemplify comfort and versatility. 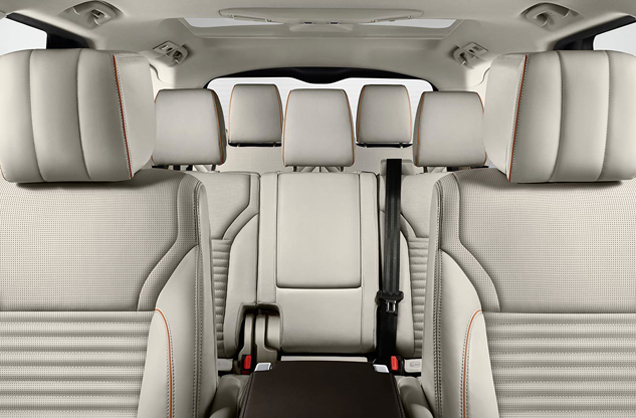 With optional Intelligent Seat Fold this allows you to configure the second and third row seating using cargo space switches or on the main touchscreen. 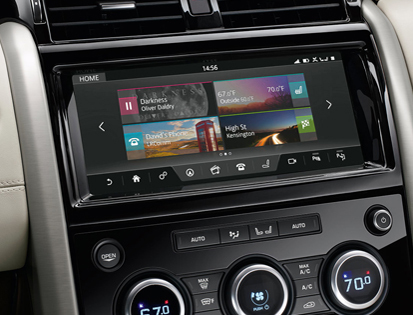 You can remotely configure the seats when you’re not actually in the vehicle, via the Land Rover InControl® RemoteTM smartphone app. The optional Activity Key makes living life to the fullest more convenient. 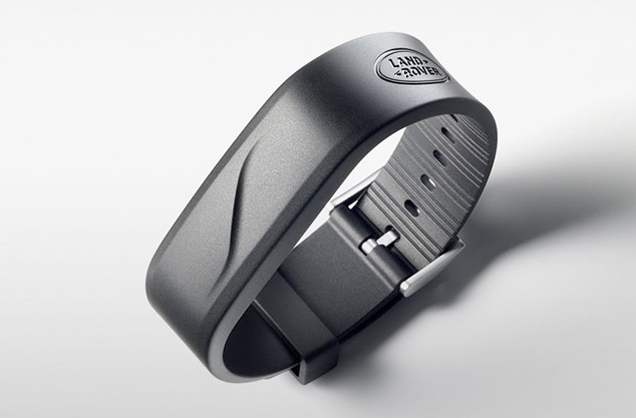 The wristband is robust and fully waterproof, allowing you to enjoy a range of activities – from sailing to skydiving – without the need to carry your key fob with you. 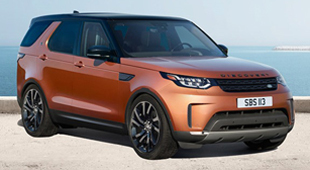 InControl® Touch ProTM advances connectivity and entertainment to the next level on the Land Rover Discovery HSE and HSE Luxury models, with a 10″ HD touchscreen display fitted16. It has a clean and contemporary design with engaging visual and audio experiences, including ‘plug and play’ using the USB ports, which act as charging points for multiple devices. Some adventures need added extras. 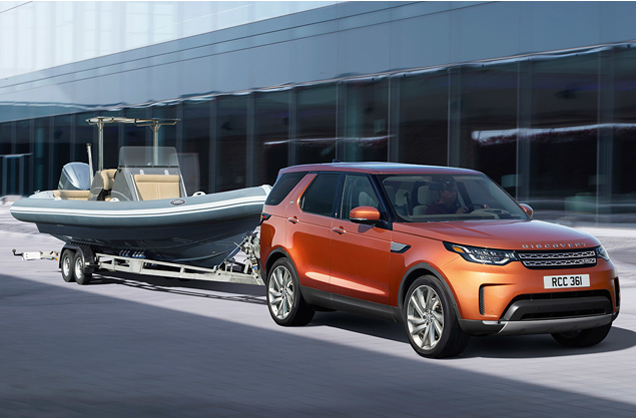 With a towing capacity of up to 8,200 lbs, the Land Rover Discovery is supported by a suite of features to ensure towing a heavy load is as effortless and sure as you would expect in a land rover vehicle. 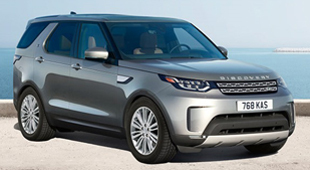 The Land Rover Discovery comes with an impressive choice of diesel and gasoline engines, each one delivering effortless performance and refinement. 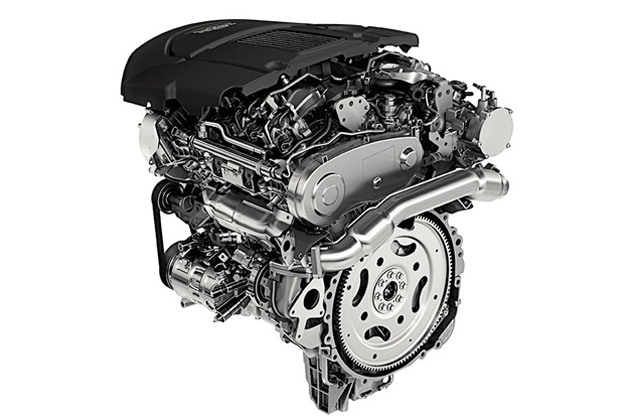 A range which includes the latest generation, high-efficiency 3.0-liter Turbocharged diesel engine with 443 lb-ft of Torque, and the 340-horsepower Supercharged V6 engine which maximizes power delivery. 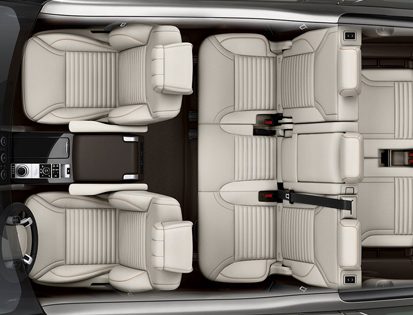 The Land Rover Discovery is equipped to take you anywhere and everywhere in comfort and style. 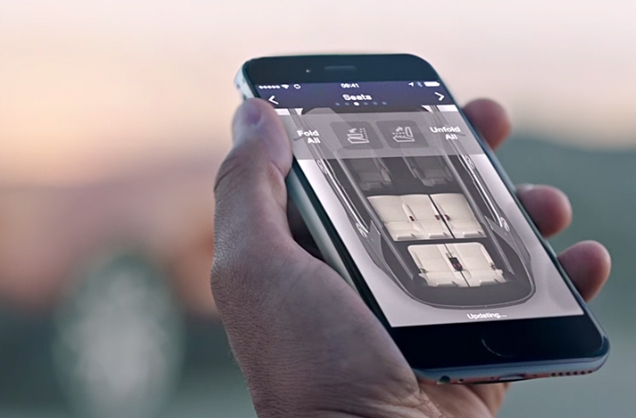 Versatility and capability have never been more dynamically realized. 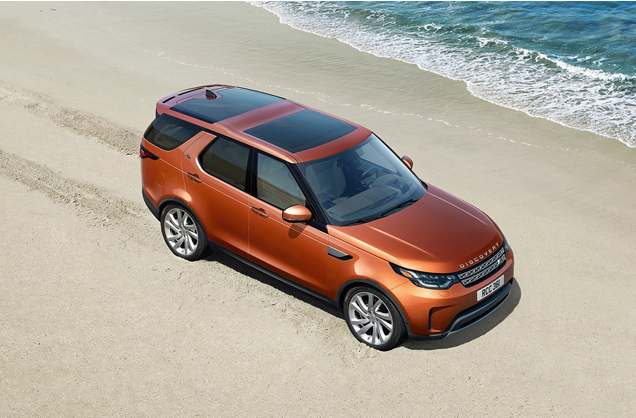 The impressive credentials of the Land Rover Discovery SE ensure you, your family and friends always travel in even greater style. 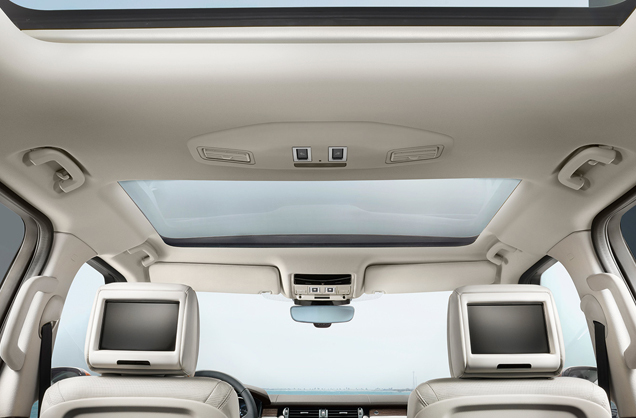 Every aspect of the vehicle is beautifully and intuitively realized, taking finesse and sophistication to all new heights. 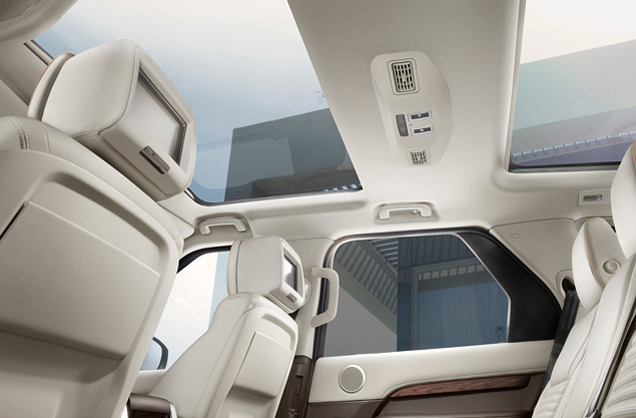 From its distinctive design to its levels of comfort and finish, the HSE Luxury is exemplary in every single detail.